Every holiday table needs a little pizzazz. And so does every potluck. I present to you today a recipe that even the laziest person can whip together in less than 20 minutes (depending on how fast you can slice), but it will seem like the most gourmet salad you’ve ever made. More importantly, it’s gluten free, nutritious, and just happens to even be vegan. The star of the salad is Pazazz itself. Pazazz apples, that is! 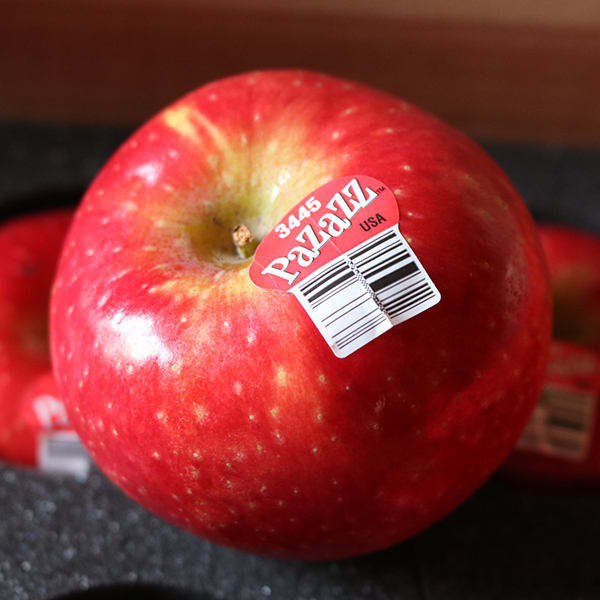 Pazazz is a descendent of the Honeycrisp with a sweet, yet tart flavor. You may or may not have seen them in your grocery store, because they are quite new to the market. Pazazz apples are grown sustainably by second and third generation family orchards, who make sure the natural orchard habitat and the land is protected. 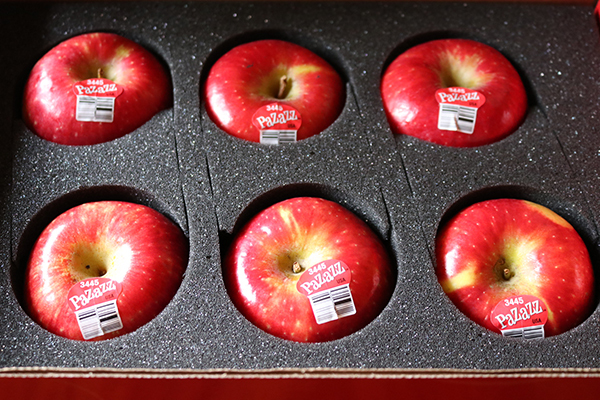 I was sent a box of Pazazz apples by Honeybear Brands to develop a recipe and feature it here. Since one of the main characteristics of the Pazazz apple is its crunch, I decided to use the apples raw. I also didn’t want to add any heat that would change their skin’s beautiful color. 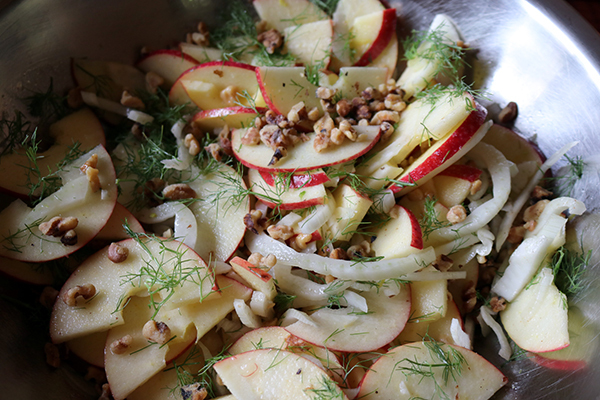 With those parameters, I chose to make a simple Fennel and Apple Salad with Lemon and Toasted Walnuts. I wanted a lighter counterpart to all the heavy food we tend to eat at holiday parties and family dinners. If you go to the Pazazz apple website, you can click on “Find Pizazz” to locate where to find them in your area. You can find Honeybear Brands on Facebook here and on Instagram here. 3/4 cup toasted, chopped walnuts. 1. Toast and chop walnuts and allow to cool. 2. Combine the lemon juice and the olive oil and whisk together. 3. Core and slice the Pizzazz Apples, with a mandolin or as thinly as you can with a chef’s knife. 4. Do the same with the fennel bulb. Pull the fronds from the fennel and reserve them to use as a garnish. 5. 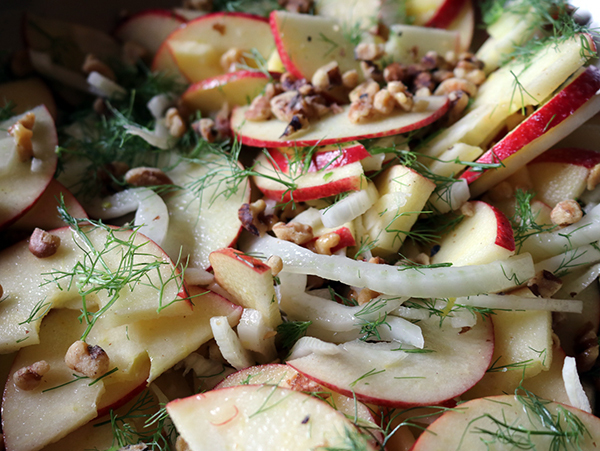 Place the fennel and the apples in a medium sized bowl and pour the dressing over them, making sure to coat both thoroughly. 6. Add the toasted, chopped walnuts. 7. Sprinkle the fennel fronds over the salad for extra flavor and garnish. Salt and pepper to taste. 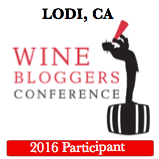 Besides leaving you this recipe, I also want to say thank you for reading for another year. 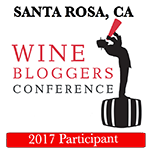 I haven’t written as often as I would have liked, but I hope next year it will be more often. This blog has been cavegrrl.com for nearly 8 years now, and I am headed into my 15th year as a blogger. I can’t believe time has gone by so quickly! I wish you and your family a happy and healthy holiday season. I am off to travel for the rest of the year, but I will be back with more in January! Follow me on Instagram here to see what I am up to until then. Cheers! This entry was posted on December 19, 2018 by cavegrrl. It was filed under food, Recipes and was tagged with Honeybear Brands, Pazazz Apples, recipes, vegan, walnuts.